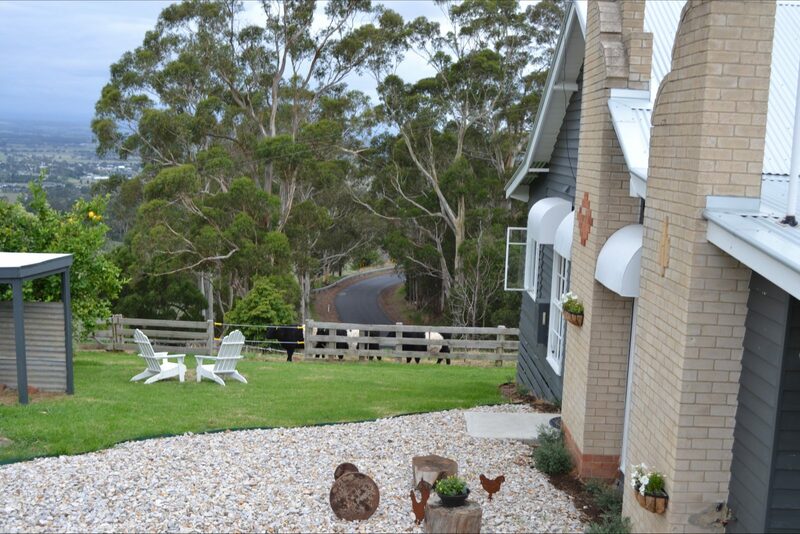 Clifden Cottage is a fully self-contained rural retreat, set on a farm breeding eye-catching Belted Galloway cattle and stunning black alpacas in the foothills of the Strzelecki Ranges. 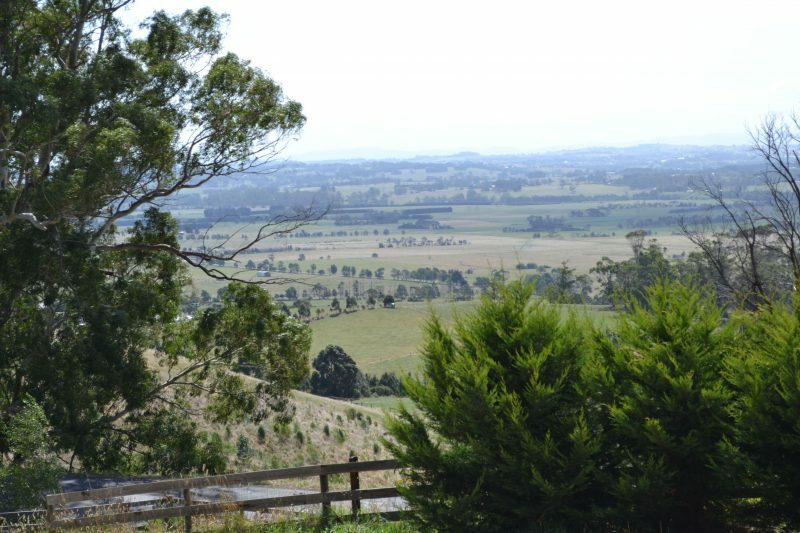 The property boasts unparalleled views of West Gippsland. Experience true farm life, simply relax and unwind, or have it all, the joys of the country without the work. This is the perfect place to rest and rejuvenate, or enjoy new experiences. The cottage is ideal for a quiet escape to the country, secure and comfortable for one guest, well-appointed for two, three or four. The property is an easy 90 minute drive from the Melbourne CBD and very close to the well-known tourist village, Yarragon. 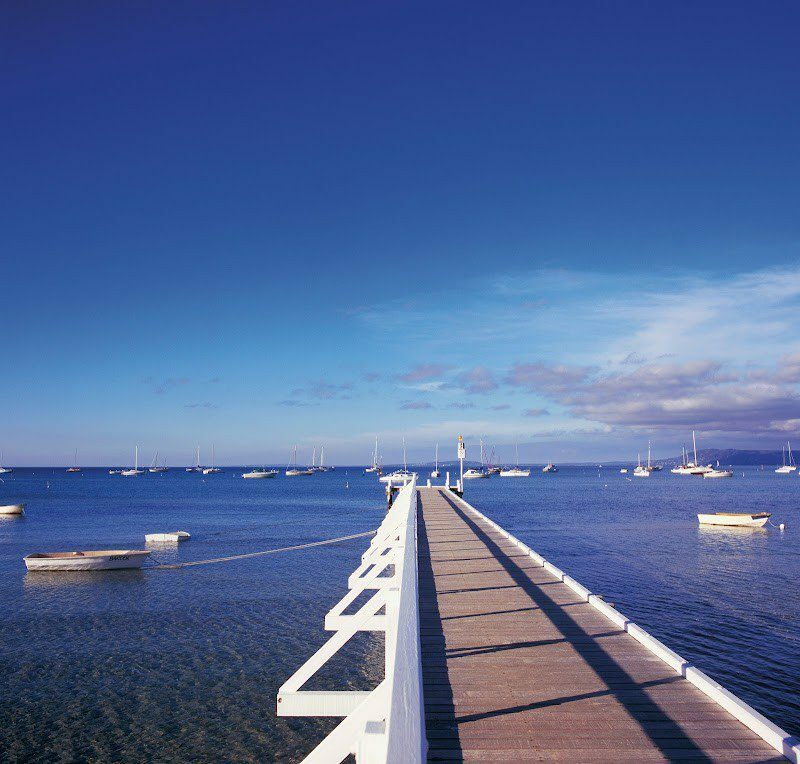 West Gippsland’s attractions are all close by. Clifden Farm is home to endearing black huacaya alpacas and Belted Galloway cattle. These gentle animals provide wonderful opportunities for photographs, hand feeding and petting. 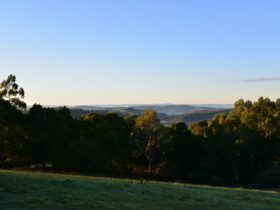 Or simply sit by the fire in the cottage with a glass of wine or take tea on the verandah and enjoy the vistas. You will always receive a warm welcome at Clifden Cottage. The owners live on the adjoining farm and are on hand to assist in any way they can. 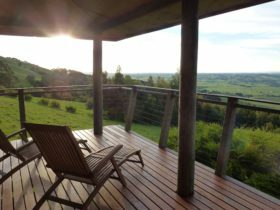 Self-contained cottage with expansive views. Sleeps up to four guests. 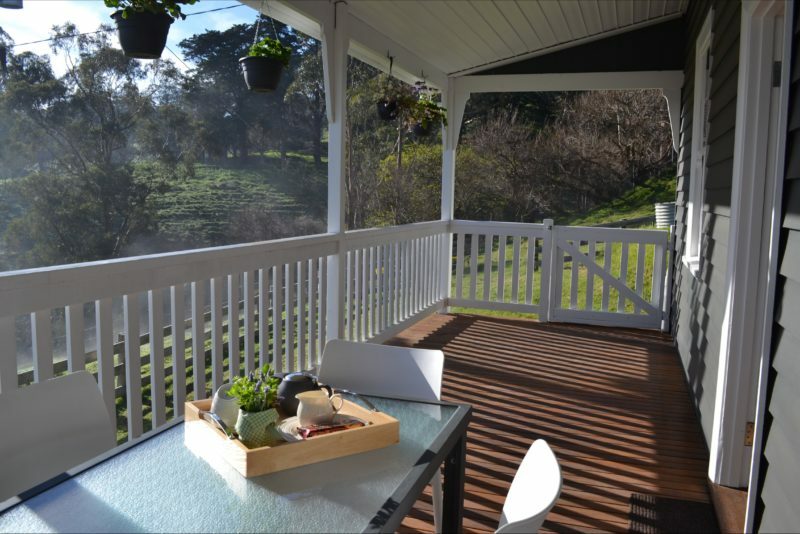 Features wood heater, air-conditioner, covered front verandah with barbecue and laundry facilities. Tariff – one night two people. Minimum stays – weekends and public holidays. Extra rates for additional guests or use of both bedrooms when two guests staying.